Asia Road Racing Championship - Motorcycle Race, MotoGP, competition | YAMAHA MOTOR CO., LTD. The 2019 ARRC season kicked off at the Sepang International Circuit in Malaysia. 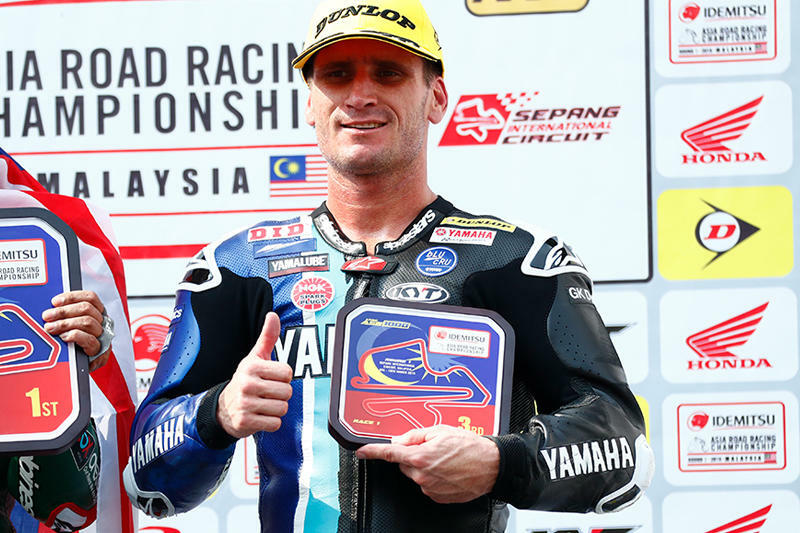 In the newly introduced ASB1000 class, Broc Parkes (#23) and Yuki Ito (#76) make up Yamaha Racing Team ASEAN while the Yamaha Thailand Racing Team has last season's SS600 Champion Ratthapark Wilairot (#56) and 2016 AP250 Champion Apiwath Wongthananon (#24). All four pilot the YZF-R1 in a class where the highest-calibre riders in the Asia-Pacific region come together to do battle. It was Parkes who made an excellent start to the race weekend. He set the overall fastest free practice time on the first day, and although he crashed in the latter half of the qualifying session, he still managed to be the fastest Yamaha in 6th. Behind him was his teammate Ito in 7th, while Wongthananon secured 8th and Wilairot 10th. Race 1 took place under clear skies with the Malaysian sun beating down on the track. Wongthananon got a strong start to slot into 3rd on the first lap, with Parkes, Wilairot, and Ito, occupying 5th through 7th, respectively. This put each of them in a strong position to challenge for the lead. The two riders at the front, Kawasaki's Thitipong Warokorn (#100) and BMW's Azlan Shah Kamaruzaman (#25), set a high pace from the start and gradually opened a gap. When Honda's Md Zaqhwan Zaidi (#21) ran off course while in 4th, Parkes saw an opportunity and upped his pace, catching and passing Wongthananon for 3rd in the process. Meanwhile Ito was running a nearly identical pace to Parkes in 5th, but on lap 5 he suffered a fall and was forced to retire from the race. The second half of the race also saw Wongthananon fade back and miss out on the fight for the podium. Parkes was setting the same lap times in the 2'06s as the leading duo, but that was not enough to catch them and he eventually finished in 3rd. But taking a podium in the opening race of the weekend and in his series debut was a positive way to get the season started. Until the start of Race 2, the Sepang International Circuit was bathed in the hot Malaysian sun, but just before the start of the ASB1000 race the skies suddenly opened, turning it into a wet race. The sudden shift in conditions proved to be no issue for Yuki Ito (#76) however. He started from 7th on the grid but made a fast break at the start to get near the front. Apiwat Wongthananon (#24) was right behind him. The problem was that because the rain was localized, some parts of the circuit were soaking wet while others were relatively dry, making it tricky for the riders. This led to major position changes in the first few laps. In the midst of this it was BMW's Farid Badrul Hisham (#83) who lead the race. 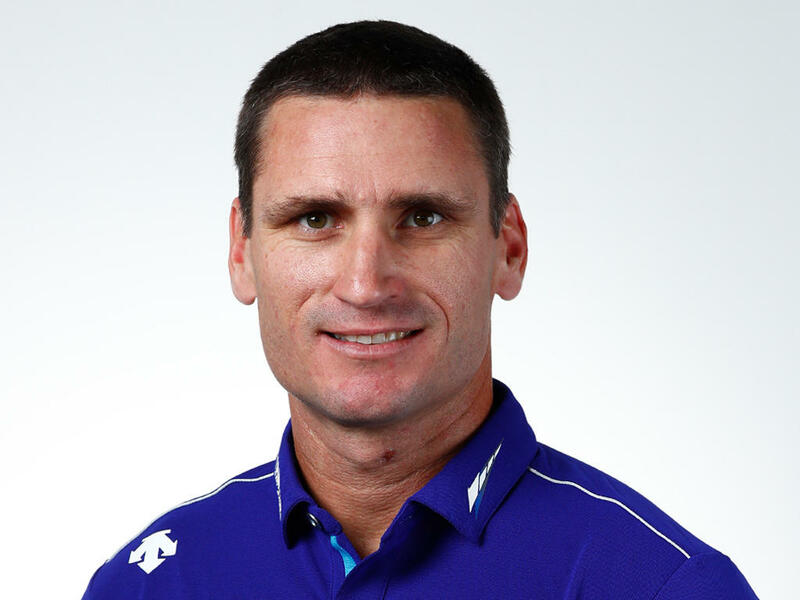 He began to set a fast pace as he glanced over his shoulder at the other riders struggling with the conditions, soon breaking away and opening a gap. Ito was giving it his all and made it into 2nd by lap 3. When Hisham crashed on lap 4 this put Ito into the lead. Ito's rivals however, were not done yet. Ito had more than a 2-second lead on the riders behind him, but the trailing group had decided to throw caution to the wind and push to catch up. With Ito's tire wearing down, the gap had shrunk to 1.4 seconds by lap 5, and 1.2 seconds by lap 6 as the trailing group of three riders gradually closed in. Honda's Zaidi crashed on lap 9, and on lap 10 Ito was passed by Kawasaki's Warokorn, dropping Ito back. He did not give up until the checkers though, eventually coming across the line in 3rd for a podium finish. It was a solid way to make up for a disappointing Race 1. Meanwhile, Ito's teammate Broc Parkes (#23) had a difficult start and had to fight back from 11th position. Even so, he steadily made up positions in the tricky conditions, and with riders crashing out in front of him he got up to 6th by the middle stages of the race. From that point he was riding behind Wongthananon. Towards the end even more riders succumbed to the conditions in front of him, further improving his position. At the checkers it was Wongthananon in 4th with Parkes behind him in 5th. Wilairot finished 7th. There are three Yamaha entries in the SS600 class, which has shifted its focus from veterans to younger riders. The Yamaha Thailand Racing Team's Peerapong Boonlert looked consistently strong after topping the timesheets in free practice then qualifying on the front row in 2nd. Just behind him in 3rd on the grid was HONG LEONG YAMAHA MALAYSIA's Kasma Daniel Kasmayudin (#127) and his teammate Ahmad Afif Amran (#50) in 5th. The three formed a solid line-up for Yamaha with the goal of defending the championship crown. Race 1 featured 14 bikes, among which Kasmayudin made a stunning holeshot with Boonlert slotting into 2nd. However, Boonlert caught Kasmayudin on the first lap and made the pass for the lead, making it two R6s leading the way into lap 2. In the opening stages, the pair were trailed by four machines, but as Boonlert and Kasmayudin set laps in the high-2'10s and the trailing riders were in the 2'11s, the lead two managed to build a gap of around 1 second at mid-race distance. From there, the trailing group upped their pace, but the two at the front did not allow them to close in, instead battling amongst themselves for the win. On lap 8 Boonlert set the fastest lap of the race in a bid to pull away from Kasmayudin, successfully staying in front for the remainder of the race and crossing the line to take his first podium and first ARRC win in his first entry in the class. Kasmayudin stood atop his first SS600 podium in 2nd, making it a fantastic beginning to a title defence for Yamaha. Race 2 saw Peerapong Boonlert (#26) and Kasma Daniel Kasmayudin (#127) once again run strong races, with the two making up a 1-2 formation at the front just as they had in Race 1. Amran was in 5th, but crashed out on lap 2 and could not rejoin. In the opening stages there were four riders all in close proximity. Boonlert was setting a consistent pace with Kasmayudin falling back to 4th on lap 3. He fought back and retook 3rd on the next lap with a pass on the inside, and did the same move on lap 5 to bring him into 2nd behind Boonlert. With the riders trailing him setting lap times in the high 2'10s and low 2'11s, Boonlert was setting high 2'10s on nearly every lap which helped him open a gap at the front. In the closing laps, Kasmayudin unfortunately ran off track and dropped back to 5th, putting his podium hopes in doubt. But he was unwilling to give up, rather deciding to push his machine to the limit. His effort paid off as he came back on the final lap to recover 3rd and notch up his second consecutive podium finish. Boonlert kept up his safe, steady ride at the front, crossing the line before the rest of the field for a fantastic win to cap off a perfect weekend. 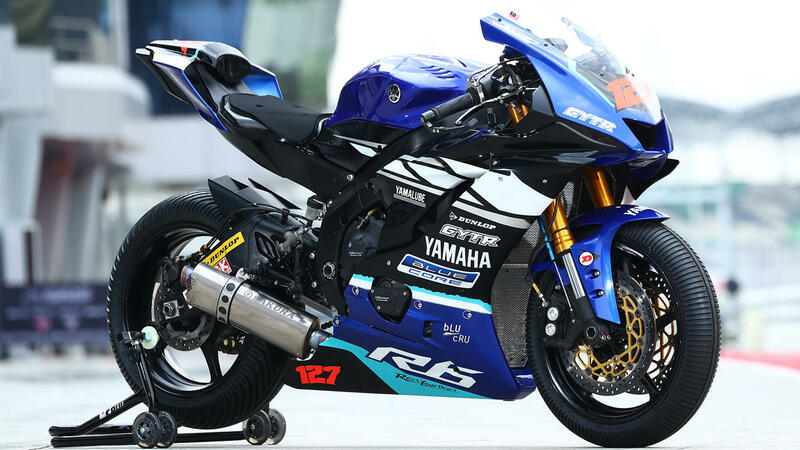 The new YZF-R25 saw its first round of ARRC racing action in Malaysia. Forming the YAMAHA Racing Indonesia team is Muhammad Faerozi (#36) and Anggi Setiawan (#96), both graduates of the VR46 Master Camp training programme run by Valentino Rossi's VR46 Riders Academy. The Yamaha Thailand Racing Team is fielding Sawapol Nillapong (#56) and Suttipat Patchaeetron (#86) in the 250cc class. All four riders struggled in both the free practice sessions and in qualifying, but in Race 1 Faerozi broke into the higher positions to battle with his rivals. He was 8th after lap 1, and although he was left behind by the leading five riders, he held position in the second group and when one of the leading five retired, Faerozi found himself in contention for 5th. The battle saw rider positions swap and change with each lap before coming down to the last corner of the final lap, but in the end Faerozi held on to take a top-five finish in 5th. Setiawan finished in 13th, Nillapong in 17th, while Patchaeetron, who was the fastest Yamaha in qualifying with 6th, had an unfortunate DNF. As his rivals showed their strengths in Race 2, M Faerozi (#36) was in fine form just as he had been in Race 1. He was the highest placed Yamaha on the first lap in 5th, and just as he had in Race 1 he got involved with the second group from the front in a battle for 5th. He chased after Honda's Awhin Sanjaya (#198) in 4th, hoping to pass him and put himself in position for a podium should anything happen to the leading three. The middle of the race saw Faerozi pick up the pace as the gap to 4th came down. When one of the riders in the lead group dropped back in the closing laps, Faerozi was locked in a battle for the podium with Sanjaya in front and Kawasaki's Aiki Iyoshi (#37) behind him. In the end he narrowly missed out on a podium with 5th, but in the race he showed the strong potential of the new model YZF-R25, as well as his own ability to fight for podiums. Elsewhere, Setiawan finished 9th, Nillapong was 12th and Patchaeetron had been running in 6th but crashed near the end and retired from the race. At previous visits to Sepang, the UB150 race had been run on the short course, but this event saw the full course used for just six laps. Racing for the YAMAHA Racing Indonesia team is Wahyu Nugroho (#89) and Aldi Satya Mahendra (#570), the younger brother of WSSP300 contender Galang Hendra Pratama and Yamaha's youngest rider at 13 years old. Alongside them on track is the UMA RACING YAMAHA PHILIPPINES TEAM, who make their full-time debut this season with McKinley Kyle Paz (#123) and (#17) Masato Fernando. Eight machines formed a lead group early in Race 1 of which seven were Yamahas, including Mahendra, Paz and Fernando. Paz held off his rivals to win the race, while Fernando took 5th. Mahendra was 7th, but fellow Yamaha riders finished 2nd and 3rd for all-Yamaha podium sweep. Mahendra, Kyle Paz, and Fernando and Nugroho were all part of the group of eight machines that formed at the front of Race 2. The cut-and-thrust battle that ensued became even more so in the final few laps. Mahendra and Nugroho made contact with other machines which caused them to lose time and fade back. On the final lap, the remaining riders Kyle Paz and Fernando, both from the Philippines, saved their moves for the final corner. In the end it was Fernando who came out victorious. Kyle Paz finished 3rd to give the UMA RACING YAMAHA PHILIPPINES TEAM their second double podium in a strong opening weekend for the team. Launched in 1996, the Asia Road Racing Championship (ARRC) is the pinnacle series of motorcycle road racing in Asia. In 2018, it was composed of the premier SuperSports 600 (SS600) class, the Asia Production 250 (AP250) class, and the Underbone 150 (UB150) class. But as 1,000cc machines have become the international standard for production-based racing, the ARRC added its own litre-bike class in 2019--the ASB1000 class. This addition firmly underlines the ARRC as an essential arena for developing riding talent, preparing racers for stepping up to world-level competition, and furthering motorsports and racing culture in Asia. Run under the FIM's rules and regulations for superstock racing, ASB1000 is the ARRC's premier class and gathers together some of Asia's fastest racers to battle it out with young up-and-comers who have their eyes on making it to the world stage. The class is drawing widespread interest and manufacturers are firming up their support for entries, aiming to raise the level of racing in Asia to be on par with--or even surpass--other internationally renowned racing series. The SS600 class now has a rider age limit to turn the focus to rider growth and skill development. It will act as one key step to take on the path from 250cc to 1,000cc racing and eventually to world championships. The AP250 class was established in 2015 as part of spreading the popularity of low-displacement sport bikes. Compared to the SS600 class, more young riders participate and it is positioned as a gateway for riders with their sights on moving up to SS600, ASB1000, and then the world stage. The 2019 season consists of seven rounds taking place at international circuits throughout the Asia-Pacific region. Each class races twice at every round before a champion is crowned based on the points earned from 14 races in total. All race machines are based on production models and are modified according to series regulations. Yamaha began creating a tiered step-up structure in 2015 to discover and develop riders from Asia and help them progress upward. When the AP250 class was introduced, Yamaha provided support like offering motorcycle racing knowhow, etc., to teams run by its local subsidiaries and set up an environment for young riders on these teams to embark on a challenge toward world-class competition. Yamaha has continued this support since 2016, also establishing Yamaha Racing Team ASEAN in the SS600 class to act not only as its top team in the series, but also as a goal for young riders to aim for. 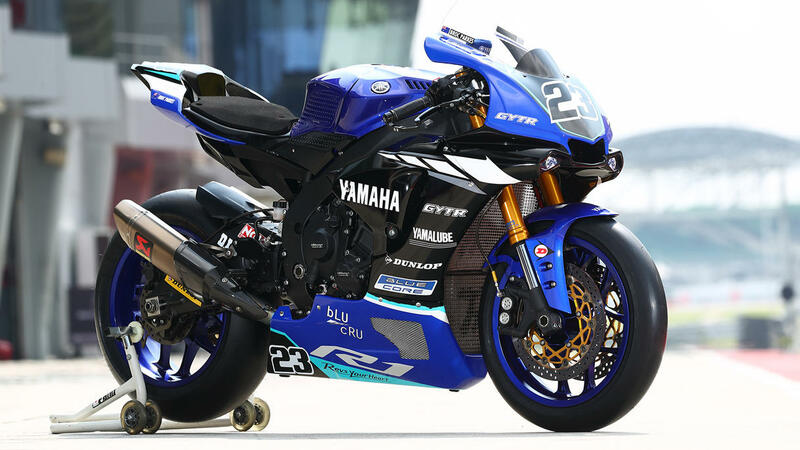 With the introduction of the ASB1000 class for the 2019 season, Yamaha Racing Team ASEAN has officially shifted to this new battlefield to boost Yamaha’s presence in Asian motorsports. 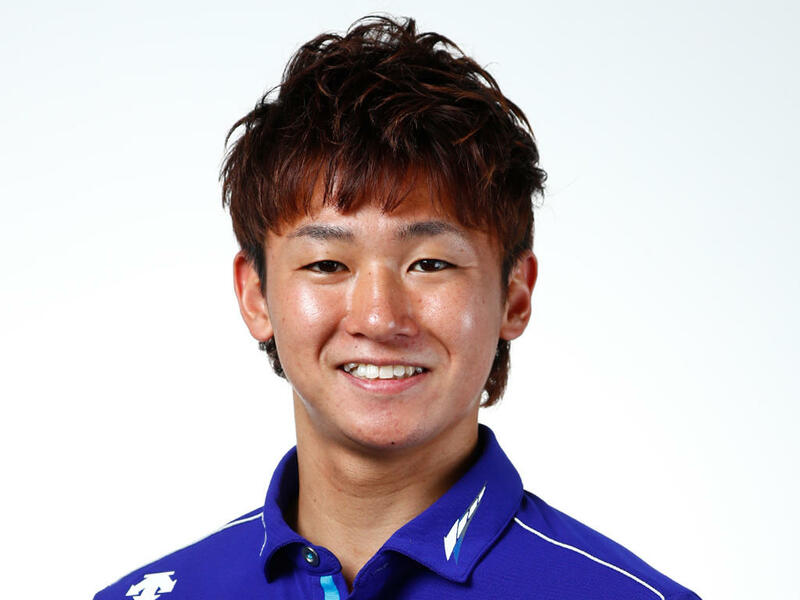 Riding for the team are Yuki Ito, who finished 9th overall in SS600 last season and is in his fourth season with the team, and racing veteran Broc Parkes, a regular contender in the Endurance World Championship who makes his ARRC debut this year. Yamaha’s local subsidiaries are also contesting the ARRC once again. 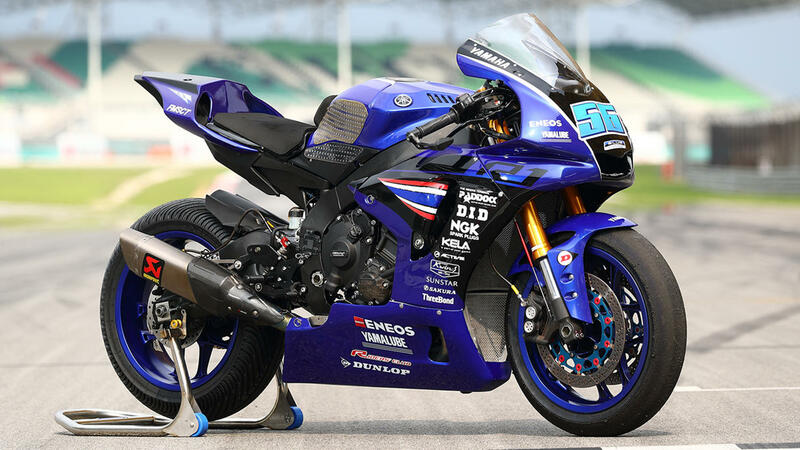 The Yamaha Thailand Racing Team is fielding riders in the ASB1000, SS600, and AP250 classes, HONG LEONG YAMAHA MALAYSIA is racing solely in the SS600 class, YAMAHA Racing Indonesia is battling in the AP250 and UB150 classes, and the UMA RACING YAMAHA PHILIPPINES TEAM is contesting the UB150 class. Every team is aiming to win their respective championships as they grow and develop their riders. The YZF-R1 is Yamaha’s flagship superbike and was developed with the same technological ideals as the YZR-M1 MotoGP machine in order to be the “Fastest on the Racetrack”. Besides its powerful 200 horsepower crossplane engine, the R1 boasts the first 6-axis IMU on a production motorcycle and a high-end electronics package. This all gives the bike excellent handling and outright performance that makes it easier for the rider to focus on the job at hand. With its high potential as a base for a racebike, the R1 is a fixture in racing from the national level to world championships, and has numerous race wins and titles to its name. Yamaha Racing Team ASEAN modifies the base production machine according to series regulations to enhance its performance. The YZF-R6 is a middleweight supersport model that made its world debut in 1998 at the INTERMOT show in Germany, and then went on sale in Europe and North America. After several model revamps over the years, the 2017 model incorporated technology from the YZF-R1 flagship superbike and was released as the newest iteration. Like the R1, it boasts excellent potential as a base machine for racing and is widely used in competition, from national series to the world championships. 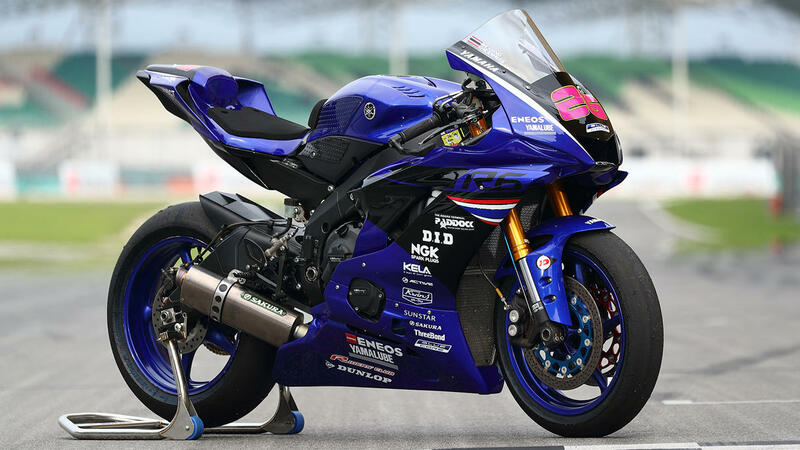 The R6 has an extensive list of victories, including last season in 2018 when it won a second straight World Supersport Championship title—the sixth time in all—and claimed the SS600 class crown with Ratthapong Wilairot riding for the Yamaha Thailand Racing Team. In the ARRC, teams modify the base production machine according to series regulations to enhance its performance.